The iPhone 5 might have been a letdown (albeit a thinner, lighter one), but I still think Passbook, the most intriguing feature of iOS 6, has plenty of mojo. Here’s how it could change the way you travel, as I wrote for CNN Travel. It’s the traveler’s nightmare — you left your passport at home, you’ve got no boarding pass, your flight’s delayed, the gate keeps changing and, worse, you haven’t got enough leftover shekels to buy a drink at the bar. No problem. Just pull out your phone. Apple’s Passbook app, recently launched with the iPhone 5, is the first step in what will eventually become an entirely paper- and cash-less airport experience. Most recently, Airbnb, Eventbrite and McDonald’s jumped aboard the Passbook digi-train. From how we check-in to what we buy in transit to where we go after we land, smartphones are making travel easier, faster and safer. Even passports will eventually get binned for something digital, say experts. Passbook allows travelers to essentially carry various travel documents such as airline boarding passes and hotel reservations inside their phones. Thanks to its location technology, your boarding pass is automatically displayed as you approach the airport. If there’s a change to your flight or gate, it’s updated on the boarding pass. Apple isn’t the first to the punch — mobile boarding passes for individual airlines such as AirAsia, Cathay Pacific and Japan Airlines have been around since 2007. Passbook isn’t the first flight aggregator either. If you have several trips planned, an app such as TripIt can scan your email for anything that resembles a booking, and build a private itinerary of hotels, train and plane travel. You just can’t actually check-in or board. Some major airports, including Singapore’s Changi and Sydney’s Kingsford Smith, already offer dedicated apps that show airport services as well as flight information, including live updates to your flight. 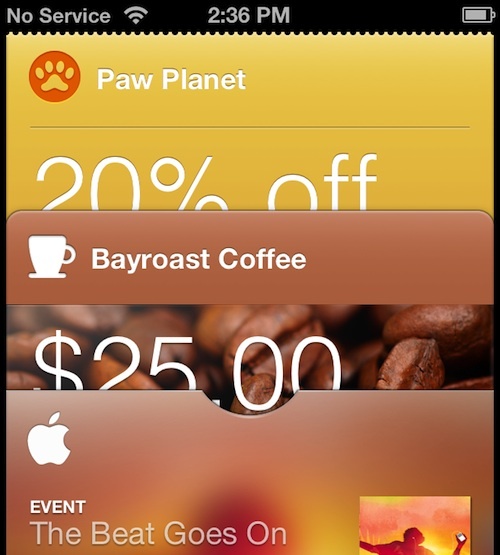 Passbook hopes to become a key aggregator of all these things. “Virtual use of boarding passes on mobile phones is supported at any big airport and a growing number of people are using it because it’s extremely convenient,” says Ben Wood, director of research at mobile analyst firm CCS Insight. Other apps are vying to make travel easier and quicker. Airport maps to become obsolete?Travelers who enjoy having instant, real-time information are a large target market for apps such as GateGuru, which offers guides to amenities, gate locations and even airport security waiting times in more than 180 airports across Asia, Europe, the United States and Canada. Louisa Heinrich, group director at digital design consultancy Fjord, predicts the next step for airport mapping apps is using smartphone location technology to find the quickest route to your gate. “Helping travelers make flight connections more quickly — I can see this happening in the next 12-18 months,” she says. You can already pre-order duty-free items online to save time at the airport, but now your phone can make this even simpler by pre-ordering items at your destination — all you have to do is hit confirm and pick them up. Passbook is matched by an equivalent for Android phones called PassWallet. In addition to boarding passes, both apps can display movie tickets, event tickets and loyalty cards. That opens up a world of possibilities for airlines, shops and other vendors to share data on who you are, where you are and most of all, what you like to buy. “Merchants can tie in live offers with flights, encouraging people to shop at the airport if delayed,” says Heinrich. Say you’ve loaded your coffee shop’s loyalty card. The location receiver on your smartphone might trigger a notification when you’re near a branch, and the app would offer you a discount or even a freebie. “In the event of a flight delay, it’s not uncommon for airlines to give you meal vouchers. What could happen is now the airline delivers a digital voucher via its app,” Heinrich says. In the future, boarding pass information might be cross-referenced with your other bookings. “The fact that boarding passes, hotel reservations and other confirmation numbers are on a smartphone can cleverly be combined with directions from where you are to where you need to go,” says Heinrich. Just landed in Bangkok? A simple tap might link your location and your hotel’s address to your smartphone’s maps app to provide instant directions. Currently, just five airlines are registered to have their boarding passes included in the Passbook ecosystem, while most shop, restaurant and venue support is U.S.-based. So we’re years rather than weeks away from the next-generation airport. So now you’ve checked in online and got your boarding pass on your phone, which is directing you to the new gate for your delayed flight. Your duty-free bottle of Campari is waiting in Shanghai and you’ve taken advantage of the free drink offer that popped up as you passed that coffee chain. You’re just about ready to board. But what about that last step in the truly paperless journey, the passport (or lack thereof)? For a passport to be stored on a phone, a tamper-resistant device like a smartcard would likely be required to secure the phone itself. Governments all over the world will need to invest in the same infrastructure for verifying virtual passports, and common travelers will need to feel safe using them. Before that, what’s close is a more seamless, efficient journey in which smartphones communicate with airlines, airports and shops to help you zip between purchasing a seat on your flight and boarding it. Just don’t forget your passport. For now.